Is art really art if it’s created by machines? There is a fine line between human-invented art which utilizes technology, and technology-created art. 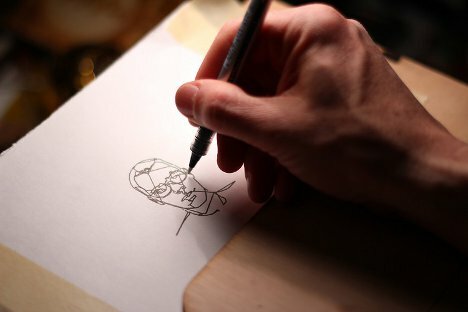 Blind Self-Portrait is clearly the latter, but with a unique twist: the machine can’t create its art without the intervention of a human hand. Programmers/artists Kyle McDonald and Matt Mets used a hacked 3D printer to form the basis of their machine. They wanted to create a project that would depend on the input of both human and machine for their unique talents in creating portraits of human subjects. 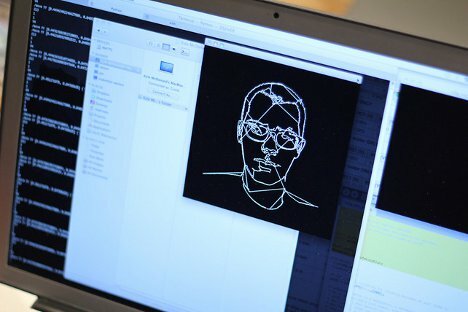 Humans sit down at a webcam-enabled laptop with eyes closed and arm on a small platform, pen in hand. 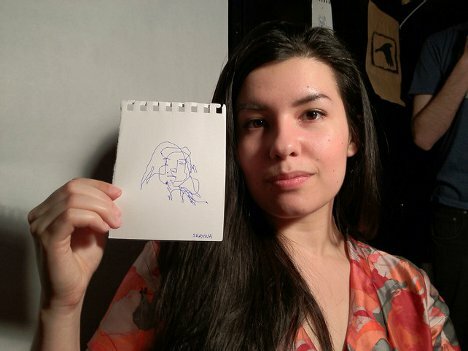 A facial vision program translates the subject’s face into simple lines and contours, and the platform moves the subject’s hand around to create a minimal but compelling self-portrait. According to the project’s creators, the human subjects often have a hard time letting go of control and simply allowing the machine to make all of the right moves. Those who surrender control and don’t try to guess which way the platform will move next are rewarded with oddly beautiful portraits of their faces as seen through the eyes of a machine. See more in Art of Tech or under Technology. August, 2012.